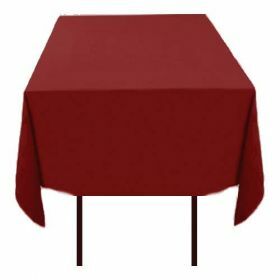 Burgundy tablecloths for square tables. Popular for wedding receptions, banquets, parties, events, and home decor. Save on your purchase with our great deals.